Galileo looked at the fuzzy patch surrounding the head of Orion through a telescope, and resolved many starts not previously known. 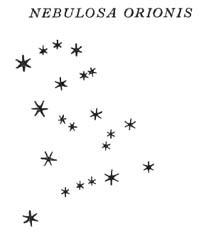 He called it Nebulosa Orionis. Look between the shoulder stars Betelgeuse and Bellatrix of the constellation Orion. The star you see with your unaided eye is Orion 39 or Lambda Orionis. Its Arabic name is Meissa. You can find this star on Galileo’s drawing by following the stars at the bottom of the drawing. 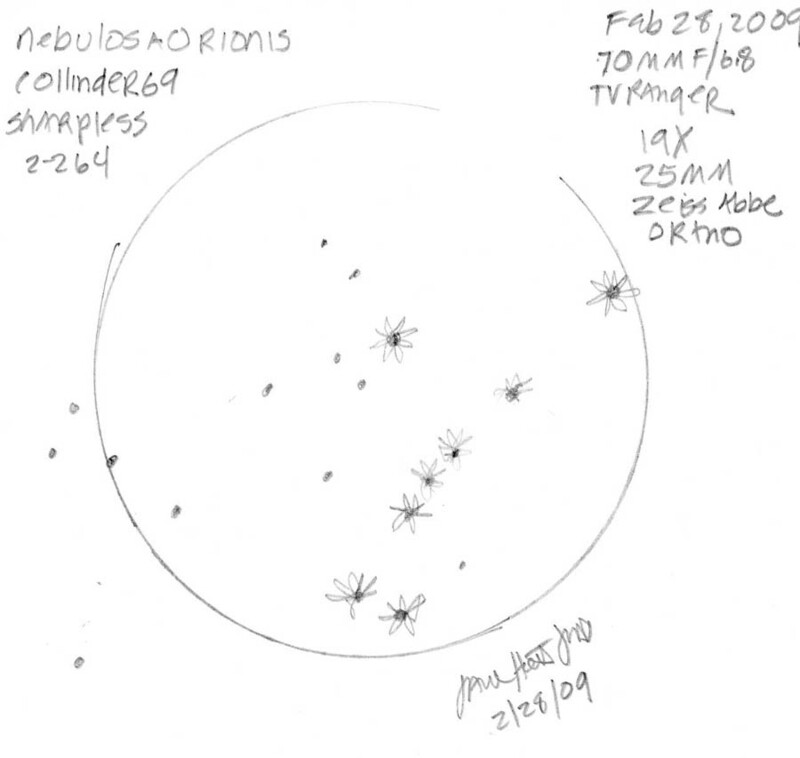 The first star at left is 37 Phi1 Orionis. Three smaller stars follow. 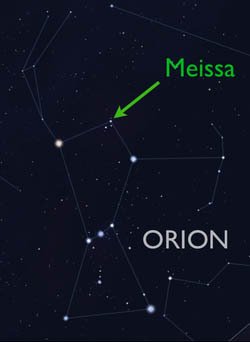 The next one is Meissa. It’s an amazing star! Surrounding the hot class O star (which also has a double) is a 150 light year ring of gas, which you can read about at Jim Kaler’s Stars website link above. 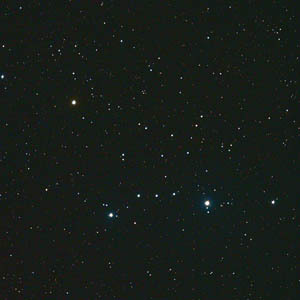 We now refer to the open cluster which contains this star as Collinder 69 or Sharpless 2-264. A hand drawn original diagram of Galileo’s 21 stars can be found in Volume 3, page 964 of the National Edition.